New Jersey law enforcement has really started to crack down on drug crimes like cocaine possession. As a result, the number of cocaine arrests has dramatically risen in recent years. Moreover, NJ prosecutors often seek maximum punishments in these cases. Whether you were caught using cocaine because you have an addiction or it was simply a case of being in the wrong place at the wrong time, the fact is that you need an experienced lawyer on your side. The Tormey Law Firm is a criminal defense team that handles cocaine possession cases in Irvington, West Orange, and everywhere else in Essex County, NJ. Our experienced litigators know how to achieve the best possible result in your cocaine possession case because we’ve done likewise for our clients time and time again. The firm’s founding partner, Travis J. Tormey, previously worked at the United States Attorney’s Office on a number of high-profile task forces and crime units. The firm also has a former county and municipal prosecutor on staff, which gives us a major advantage if your drug case goes to trial. If you or a loved one has been accused of cocaine possession, call the Tormey Law Firm today at 201-654-3464 to speak with one of our experienced drug crime defense lawyers. You can also see examples of the firm’s courtroom victories by viewing our Successful Cocaine Possession Verdicts page. 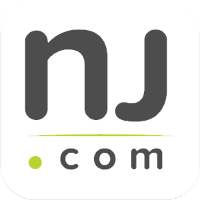 The New Jersey Criminal Code classifies drugs, or controlled dangerous substances, according to their potential for abuse and their usefulness in the medical community. Cocaine and crack cocaine are considered Schedule II drug because they have a high potential for abuse and limited acceptable medical uses. N.J.S.A. 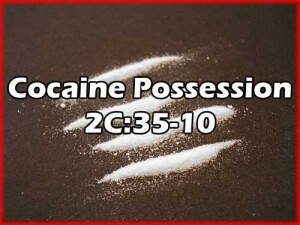 2C:35-10(a)(1) prohibits the possession, either actually or constructively, of a Schedule II drug like cocaine. 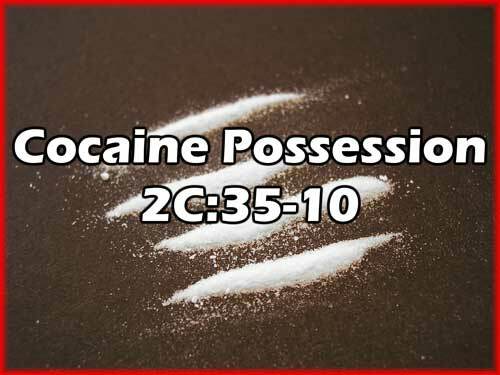 Additionally, the statute classifies cocaine possession as a third degree crime, which is a felony-level offense with severe penalties. If you are convicted of cocaine possession in the State of New Jersey, you can be sentenced to between three and five years in NJ State Prison. The statute also imposes a fine of up to $35,000. Beyond the immediate consequences of a cocaine possession conviction, there are also collateral consequences. Regardless of the sentence that is imposed, you will have a drug crime conviction on your permanent record. This can haunt you for the rest of your life by making it extremely difficult to obtain or maintain employment. You may face special penalties if you are convicted of cocaine possession in a New Jersey school zone or near a public park. In addition to the standard penalties for cocaine possession, you will also be subject to a mandatory community service requirement of at least 100 hours. The cocaine possession statute only applies if it is determined that the cocaine in your possession was for personal use. If law enforcement believes that you intended to sell the cocaine, you can face far more severe cocaine distribution charges. Worse yet, if you are in possession of more than 1/2 ounce of cocaine, it is presumed that you intended to sell the drugs. The good news is that you might be able to avoid incarceration even if the evidence against you is strong. First-time drug offenders are potentially eligible for a diversionary program like Pre-Trial Intervention (PTI). If you successfully complete PTI and undergo all necessary rehabilitative services, you will avoid jail. Moreover, there will be no record of a conviction. The experienced lawyers at the Tormey Law Firm understand NJ drug laws and know how to resolve your case without needing a trial. However, if the case does go to trial, we are also prepared to fight for you in the courtroom and beat your cocaine possession charges. You can call us at 201-654-3464, or you can email us to schedule an in-person consultation at our Newark office.